Work can be hard and painful. Aisha encourages you to find a focus for LOVE WORK – ideal work that feeds your soul, energizes you every day even with the challenges that come with it. LOVE WORK is composed of what makes you profoundly HAPPY and what you are PASSIONATE about. From a young age, music made Aisha happy. She was passionate about social change and activism. This led to RAPTIVISM, allowing her to express her inner voice, as well as connect and critically question the world around us. Video shot by Jess Jones and Erin Palmquist, edited by Jess Jones. Audio setup by Daniel Craig. Photos by Tim Kempf. 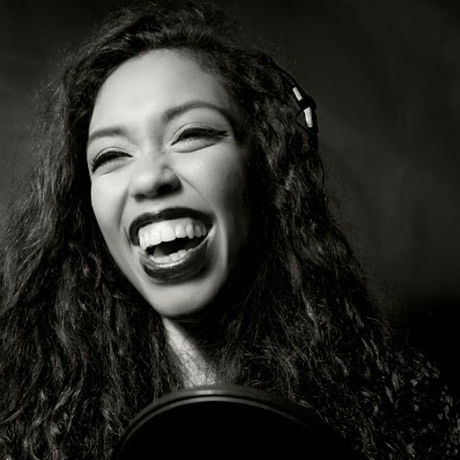 Aisha Fukushima is public speaker, educator, singer, and ‘RAPtivist’ (rap activist). Fukushima founded RAPtivism (Rap Activism) a global hip hop project spanning 10 countries and four continents, highlighting the ways culture can contribute to universal efforts for freedom and justice by challenging apathy with awareness, ignorance with intelligence, and oppression with expression. She is a multilingual, multiracial African American Japanese woman whose work is influenced by her global upbringing with roots spanning from her birthplace of Seattle, Washington to her other hometown of Yokohama, Japan. As a facet of her work, Fukushima has engaged in hip hop communities across the United States and from France to Morocco, Kazakhstan, Japan, Germany, England, South Africa, Senegal, India, Denmark and beyond. Fukushima’s ‘RAPtivism’ has been featured by Oprah Magazine, KQED Public Television, The Seattle Times, TV 2M Morocco, The Bangalore Mirror, HYPE, South Africa’s #1 Hip Hop Magazine, among others.